A lot of work went into making the Star Wars saga. A lot of designers and costumer coordinators worked together to make the Star Wars universe look real. A lot of actors collaborated to (occasionally) make the characters in the Star Wars universe feel human. Some of those characters you know and love. Like, for example, Darth Vader, Luke Skywalker, R2-D2, Han Solo, Obi-Wan Kinobi, Qui-Gon Jinn, etc... Many of these characters, however, you may have overlooked. Lucky for you, I've created a list of 5 characters from the Star Wars movies that you might be interested to know a little bit more about. 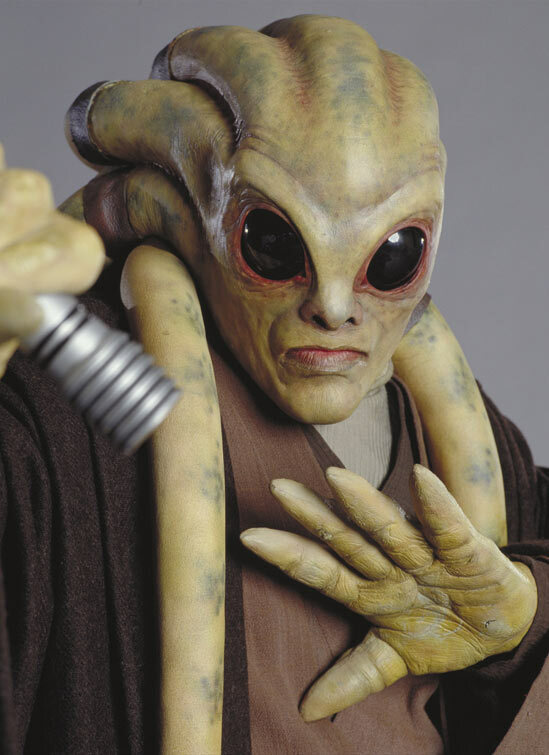 Kit Fisto appears briefly in both Episodes 2 and Episodes 3. In Episode 2 you briefly see Kit save C-3PO's life. C-3PO, if you recall, had been decapitated and re-assembled as a OOM battle droid (albeit, an inferior one). Kit Fisto sent C-3PO-OOM flying with a the force push, effectively ending C-3PO's short lived killing spree. You might also remember him for his cheesy smile that he throws at C-3PO right before he blasts him. Kit can also be seen in many of the scenes that feature the entire Jedi council (since he's a member). Kit appears in the third episode when Mace Windu confronts Darth Sidious. Darth Sidious, surprisingly spry for a on old man, quickly dispatches of Kit Fisto. - He is featured as a main character in the animated cartoon series "The Clone Wars." Lobot is the chief administrative officer of Cloud City, serving under Lando Calrissian. 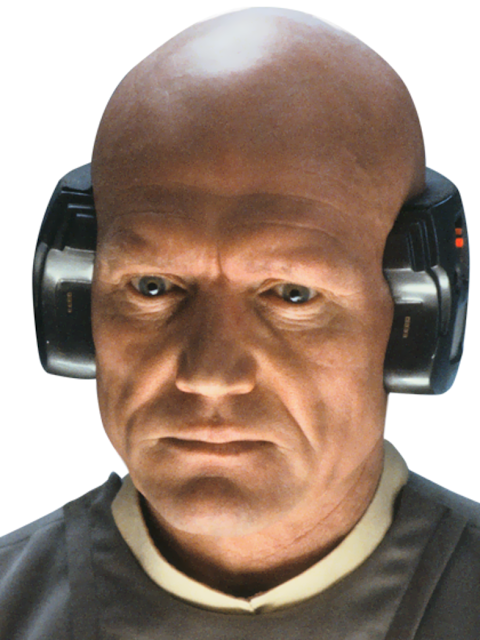 You might have noticed the strange head-phone-like robotics attached to his head. This is a device that connects his brain directly into the computer system of Cloud City. He appears only in one episode of Star Wars, episode five where he doesn't really have any lines, but he is very stoic. There is really not a lot of interesting facts about Lobot, except how he got his name! His name was originally Lando's Aide and had many lines within the script. However, film makers decided that his character had been lobotomized (a neuro-surgical procedure in which the connections to and from the pre-frontal cortex were cut from the brain). This lead to "Lobot." 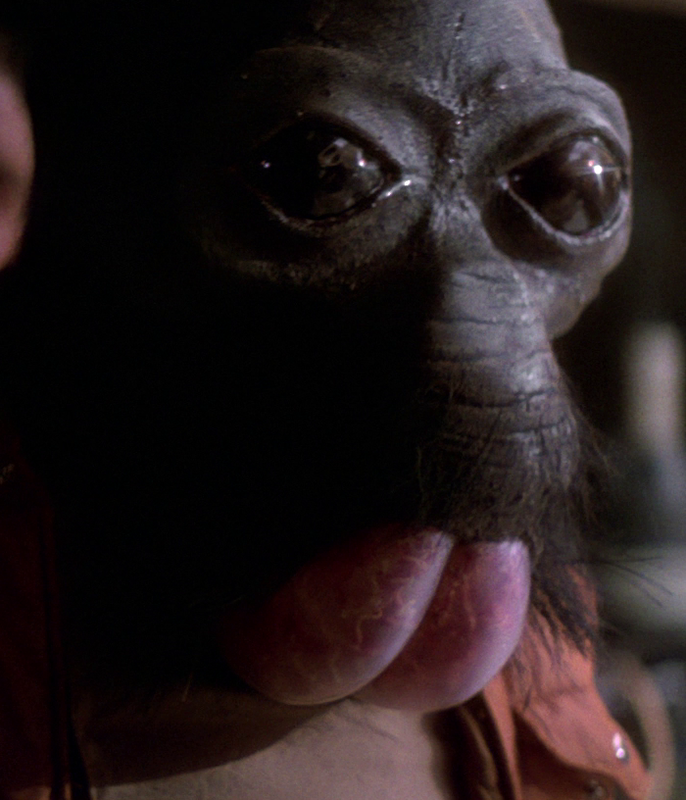 Ponda Baba is a wanted man on twelve star systems. You might recognize him from the first installment of Star Wars (Episode 4). You will likely recall when Luke and Obi-Wan enter the cantina in Mos Eisley and Luke is accosted by a pig-faced man (Evazan) and this fellow: Ponda Baba. Obi Wan promptly removed Ponda Baba's arm. This wasn't the end of Ponda however. Far from it. After a failed attempt at repairing his arm (that almost cost his life), Ponda kidnapped a senator and tried to trade brains. Pretty crazy stuff. 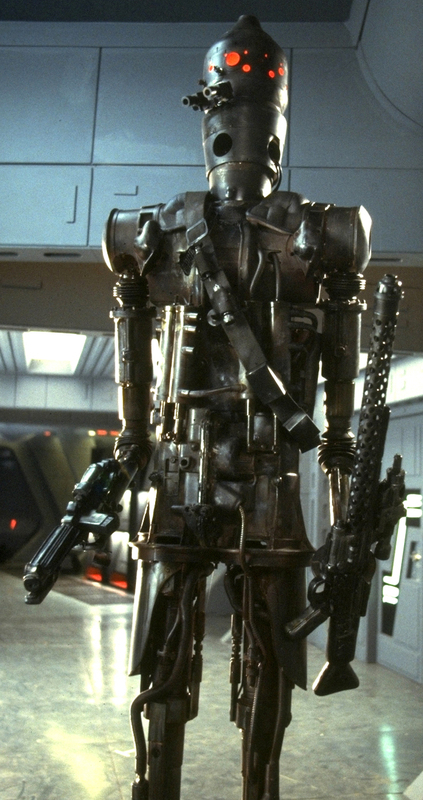 Boba Fett is pretty great, but the bounty hunter IG-88 is so freakin' amazing. How he was created is awesome, how he lived is awesome, and how he died is awesome. His only appearance is in Episode 5. He has no lines, but is just in the line-up of bounty hunters that Darth Vaders hires to hunt down Solo. That alone should let you know that he's awesome. To sum up his life, scientists tried to create a super amazing droid, the only problem was that they created a droid that could think autonomously. Oops! So IG-88 killed all of the scientists and cloned himself 3 times. So then there was 4 super BA droid robots roaming the galaxy committing crimes and claiming bounties. How did he die? Well, there was four of "him," and i won't tell you all of the ways he was defeated. But I will tell you one of his deaths. You see, IG-88 had grand schemes for ruling the galaxy and what not. So, unbeknownst to the emperor, the rebellion or anyone for that matter, IG-88 implanted his own consciousness (which is a program, remember) in to the Death Star. Yup. IG-88 actually took over the Death Star. The only problem was timing... You see, poor IG-88 implanted himself in the Death Star right before Luke's fateful shot destroyed it. This man's original casting was for Jabba the Hutt. Yes, he was going to be a stand-in for Jabba the Hut. But instead, he became one of the heroic rebel pilots that was destroyed in the death star attack. 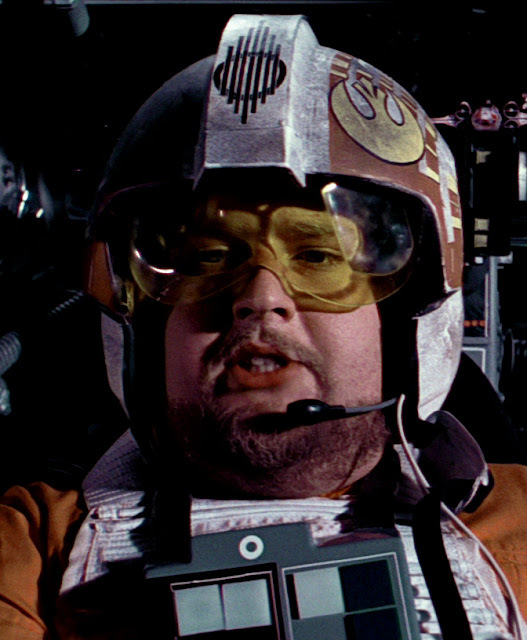 He only has one short appearance in the first film where we see him flying an X-wing alongside Luke Skywalker and Wedge Antilles. What makes this man worth your attention? Well, nothing really. He plays a minimal role, has no lines, and is blown up shortly after his debut in the movie. See? This is him blowing up. But his name is Porkins and he has the nickname of "Piggy." I guess that's what makes him so great. So long Piggy. So long. Well, there's my list of 5 Star Wars characters you might have noticed, but should maybe notice a little more. There is a tonne of other characters that deserve your attention, but as any self-respecting Star Wars fan can agree, you should definitely be aware of these characters. When you see them in the films next time, make sure to tell your friends! Also, feel free to like this post and follow this blog for more exciting Star Wars information!